It turns out Ozzy Osbourne isn’t the only rocker who likes to bark at the moon. This is the time of year horror movies are all over TV and streaming services and one that’s a “must-see” if you come across it is the most recent in “The Wolfman” franchise. The original 1941 starring Lon Chaney Jr. is an obvious classic but the 2010 reboot starring Benicio del Toro is, I think, an excellent tribute to this iconic movie monster. If you do choose this version I recommend you not only keep a close eye on the beautifully shot gothic scenes but to also keep your ears tuned into what you’ll hear, especially if you are a fan of KISS and Van Halen. It turns out the director of the 2010 “Wolfman” John Johnston utilized the voices of Gene Simmons and David Lee Roth to come up with the distinctive wolf howls heard in the film. 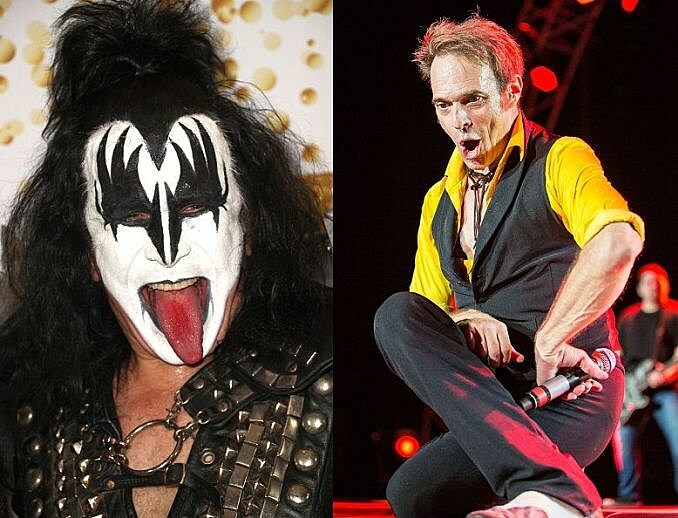 That’s right, Gene Simmons and David Lee Roth. Here is a quote from Johnston an interview done by the now defunct boxoffice.com where the director comments on his use of Simmons’ and Roth’s howls. MS: Is it true that KISS singer Gene Simmons is the voice of the Wolfman? JJ: It’s partly true. Gene Simmons came in and did some howls for us that were amazing. He has this amazing voice and range and sustainability. He did these howls that went on and on and on, and we kept thinking he’s got to run out of breath any second, but he’s got this amazing lung capacity. He did some howls for us. They are then electronically enhanced and the sound people are working with them now. I’m not sure how much of the stuff that Gene Simmons did is still in the movie or will be in the movie, because you add things and change stuff — it’s a process of evolution. So it is true in the sense that he did some Wolfman howls for us. MS: Who else did you get in? JJ: We did David Lee Roth and another couple whose names I don’t remember. We also did an opera singer. We did a woman who was a singer. We did some babies. So now you’ve been informed and warned. The next time there’s a full moon it’s not just the Wolfman’s howl you’re hearing, it’s probably another “killer” high note coming from a couple of legendary rockers.